Open Server Party! January 16th and 17th! The holiday season is coming to a close, and 2015 won't be far behind. It's been a huge year for Legends of Equestria: we went to conventions, hosted our biggest open server events ever, successfully pulled off our 24-hour stream, and - to top it all off - we went alpha! But it hasn't just been a big year for us. Did you know that our friends over at Equestria Daily and PonyvilleFM are both celebrating their anniversaries this coming January? So, we got to thinking, what do you do when a whole bunch of really cool stuff happens at the same time? Why, you throw a party, of course! On January 16th and 17th we'll be opening up our servers once again for our year end holiversary extravaganza! Unlike our previous Open Server Events, this isn't to test out new material or stress test the servers, this is just for fun! Check back on January 15th for the download link, which will be available at 12:00 PM EST. We'll be kicking things off at 9:00 AM EST January 16th, and finishing up at 11:00 PM EST January 17th. 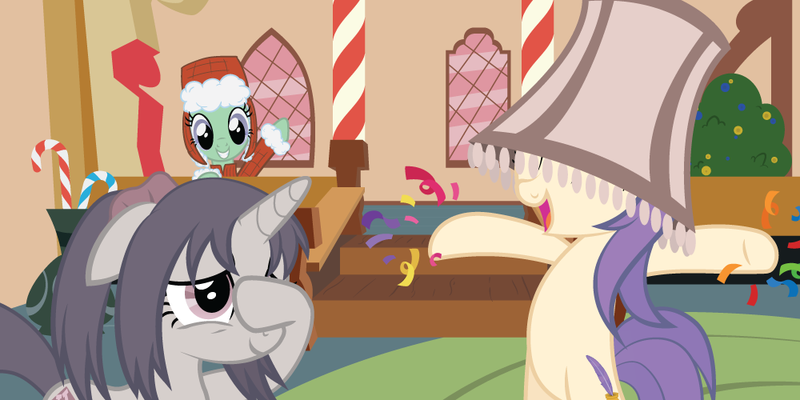 Make sure you download only the official client from our website, and we'll see you in Equestria this January! Legends of Equestria Is Coming To PonyCon 2016! We hope you're getting hyped for the 24-Hour Event, because we know we are! For now, take a look at our schedule and see what we've got in store! 02:00 LoE Fan Trivia Hour! 03:00 The Justin Experience. With Justin. 11:30 Closing With The LoE Team! Have you ever wondered exactly what goes into making Legends of Equestria? Ever wanted to watch us hard at work developing the game? Got no plans to sleep on November 14th? Then do we have good news for you! Legends of Equestria will be hosting a 24-Hour Development Streaming Extravaganza Event starting at 12:00pm EST on November 14th running until 12:00pm EST on November 15th. The 24 Hour Event will be 24 straight hours of a variety of team members working on the game live. You will have the opportunity to watch us develop the game in real time, ask questions, and take a behind-the-scenes look at Legends of Equestria. During the streaming event we'll be featuring new work on a variety of locations, ponies, and creatures all around Equestria; stuff like new 3d models, audio effects and music, animations, quests, implementation, and more. We'll also be presenting fun interaction events like a fan trivia challenge! Remember to check back often as more details and the schedule are coming soon! We've gone alpha! New trailer! Legends of Equestria has been through a lot over the past few years; we've seen the project grow and grow - and you've all grown with us! In fact, during our last open server event (back in the ancient past of August), you guys brought around 15,000 ponies to our world. That's just incredible. And it's thanks to all of your dedication and support, and of course the incredible work by our team, that we're super duper excited to announce that Legends of Equestria has gone alpha! What does that mean? Well, reaching the 'alpha' state of the game means that we've got a solid bedrock, all set up and ready for us to keep building on. It doesn't mean we're finished, though - far from it, in fact; we've still got plenty more planned for the game, and there's a good deal of work to be done before we get to a finalised state. It is a big step forward, though - and one we couldn't have made without all of you. To celebrate, we've made a shiny new alpha trailer for the game! We'll be making more trailers in the near future to help highlight and preview what's in this alpha build, and what we have planned for you all to enjoy! Don't worry, we've got plenty to tell you about! What does this mean for the future of Legends of Equestria? Well, we're still working on that. Like we said, there's plenty more we want to do with the game, to make sure what you get from us is the absolute best experience we could ever give you. Sadly we don't have a release date for the game set in stone yet (or any future playable events to announce at the moment), but you can bet your behind that we're working as hard as we can to get to that point. As soon as we've got anything more to share with you, we'll be yelling it from the rooftops! Or, y'know, posting about it here. Whichever works. Thanks again, everypony! There's still plenty more to come, so keep your eyes peeled!